The Divo was created to be fast in the corners. 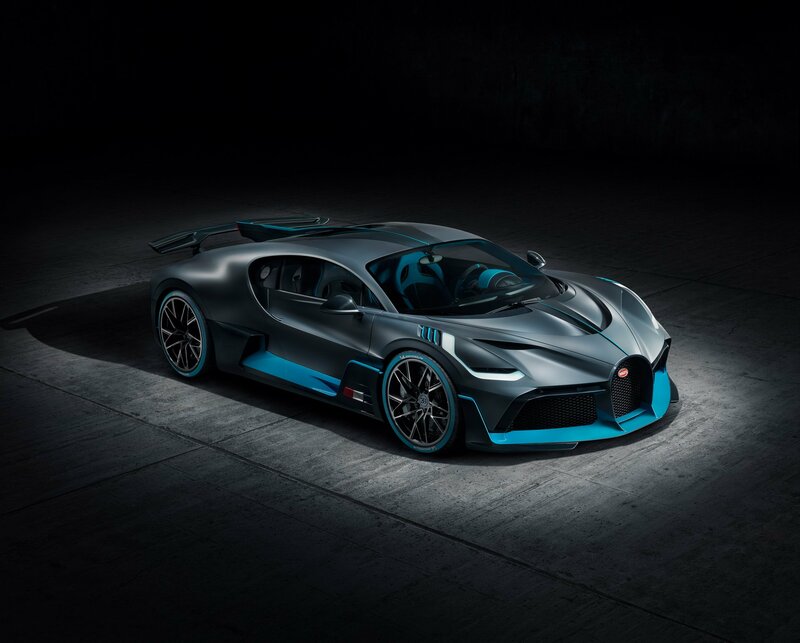 Bugatti has pulled the wraps off the much awaited Divo, the latest in Bugatti’s line-up of hypercars with extreme performance capabilities. While the Chiron was destined to be the hypercar with the highest top speed, the Chiron was destined to become one of the fastest cars when entering the bends. Built on the ethos of creating a hypercar that’s at home at the bends, the Divo can sustain a lateral acceleration of up to 1.6 g. For perspective, a Nissan GT-R can sustain a lateral acceleration of up to 1.08 g.
The Divo represents the revival of the brand’s tradition of coachbuilding, giving the designers and engineers limitless capabilities in their passion to form the car’s exterior. Since the engineers and designers are not bound by any production restrictions such as cost, time, and line compatibility, the possibilities of creating complex shapes and curves are huge, making the Divo look almost completely unique from the Chiron. On the side, the Divo has been sculpted to feature “four independent air sources on each side of the vehicle: air flows in from the high-pressure area above the front bumper, the inlets on the front wings, one inlet on the front radiator and the diffusers ahead of the tires.” At ther back, the Divo features a new, height adjustable rear spoiler which also functions as an air brake, while a bigger rear diffuser, as well as a roof that has been designed to form a NACA air duct, provides cooling to the car’s massive powertrain components, and gives the car 456 kilograms of downforce, 90 kilograms more than the Chiron’s. Whereas the Chiron’s interior is mainly done in leather, the Divo’s interior features a two-tone design with Divo Grey Alcantara upholstery and Divo Racing Blue accents. Carbon fiber trim and “glass-blasted anodized grey” metal accents further uplift the interior vibe of the Divo. Keeping with the Divo’s performance oriented theme are larger steering wheel paddle shifters compared to the Chiron, as well as larger armrests and calf supports. The Divo is powered by a the familiar quad-turbo 8.0-liter W16 engine, which still produces 1,479 hp, with 0-100 kph achieved in 2.4 seconds, all the way to a top speed of 380 kph. While this is considerably lower than the Chiron’s, the main aim of the Divo is to be fast in the corners. The Divo can sustain up to 1.6 G’s in the corners, and this is thanks to the increased camber, as well as revisions in the steering and suspension system. The lower top speed is the result of the car’s increased camber. The 380 kph limited top speed provides a precautionary measure to the car since a higher top speed will put more pressure than what its tires can sustain. The car is named after French racer Albert Divo, who joined Bugatti’s works team in 1928. Only 40 Divos will be made, and all have already been spoken for.